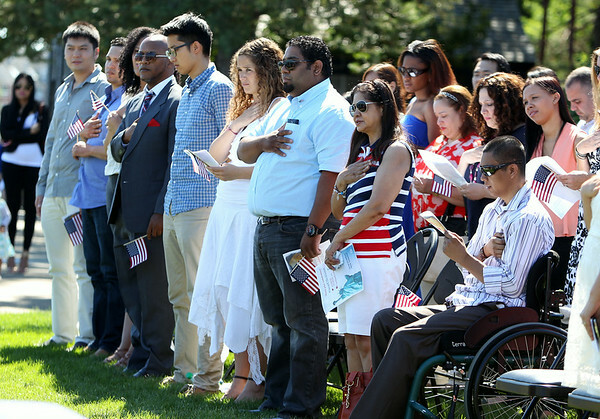 Newly sworn in United States citizens place their hands over their hearts during the Pledge of Allegiance during a Naturalization ceremony on the back lawn of the House of Seven Gables in Salem on Friday afternoon. DAVID LE/Staff photo. 6/27/14.